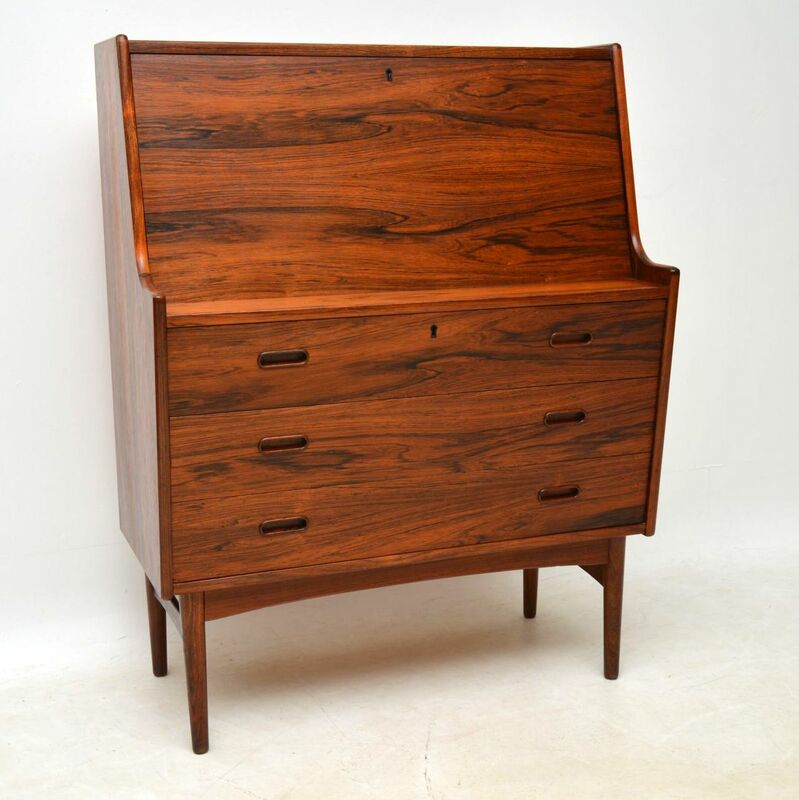 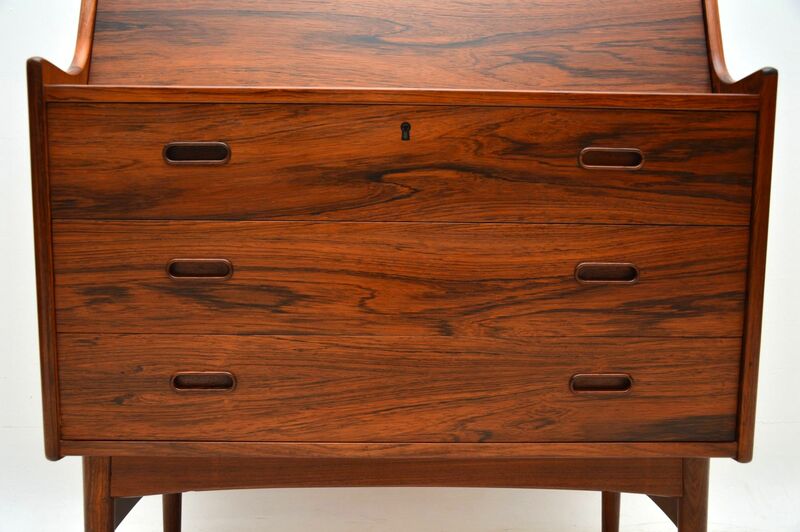 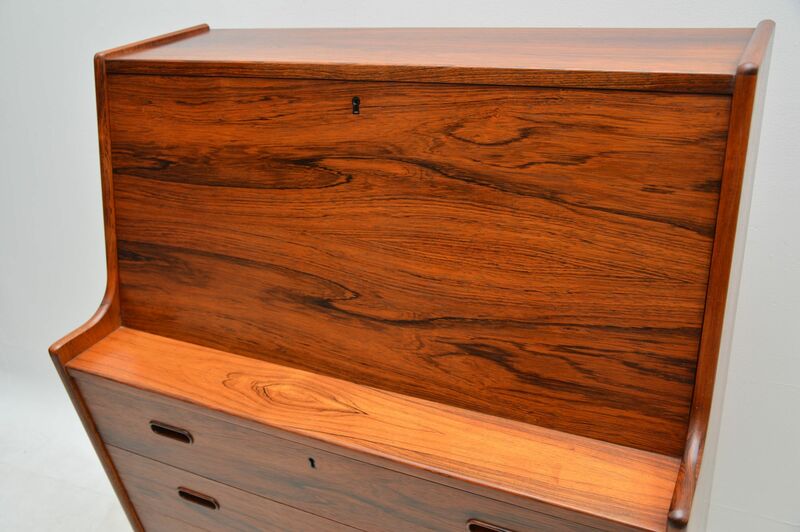 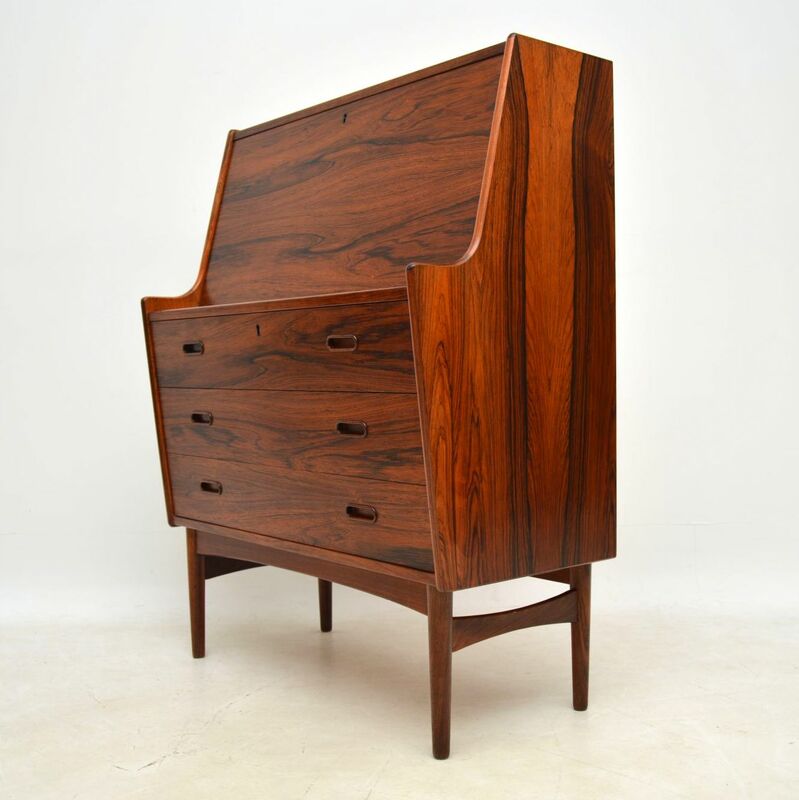 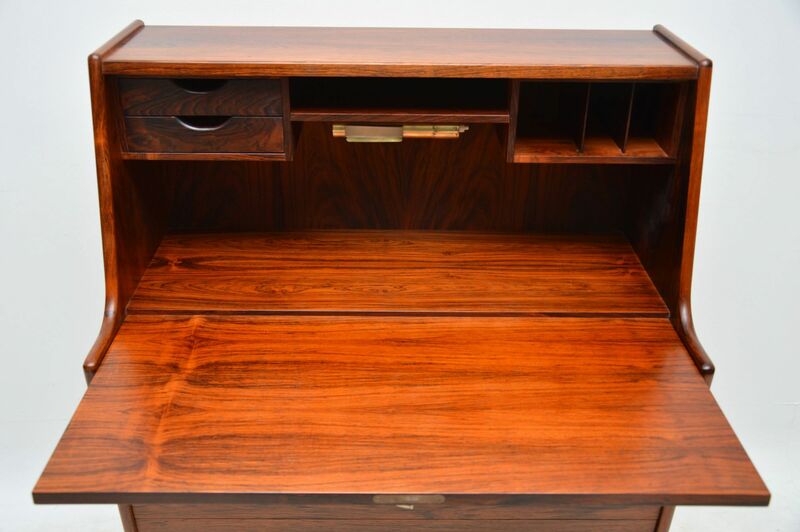 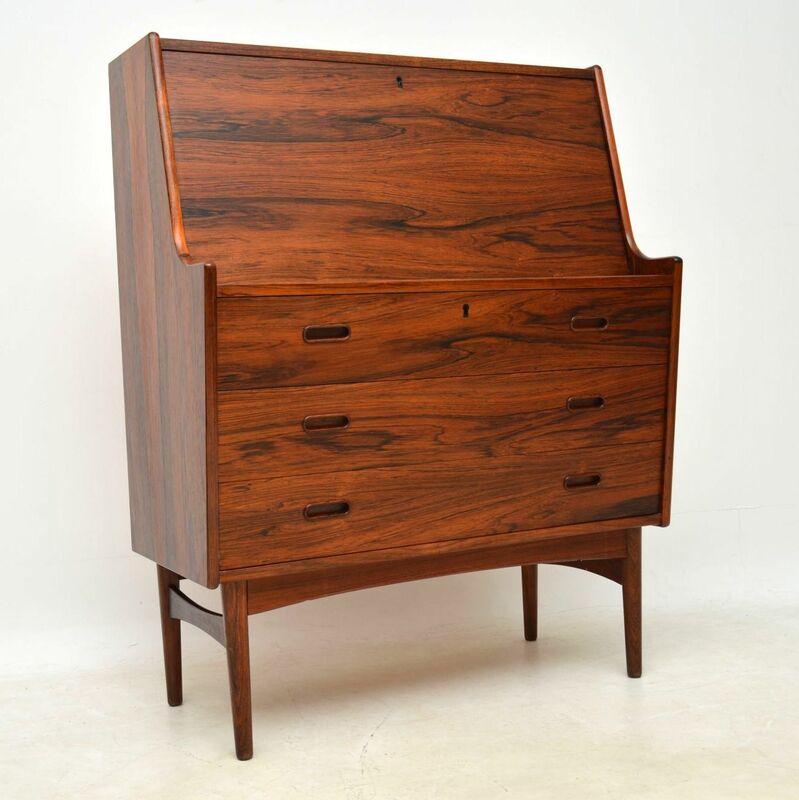 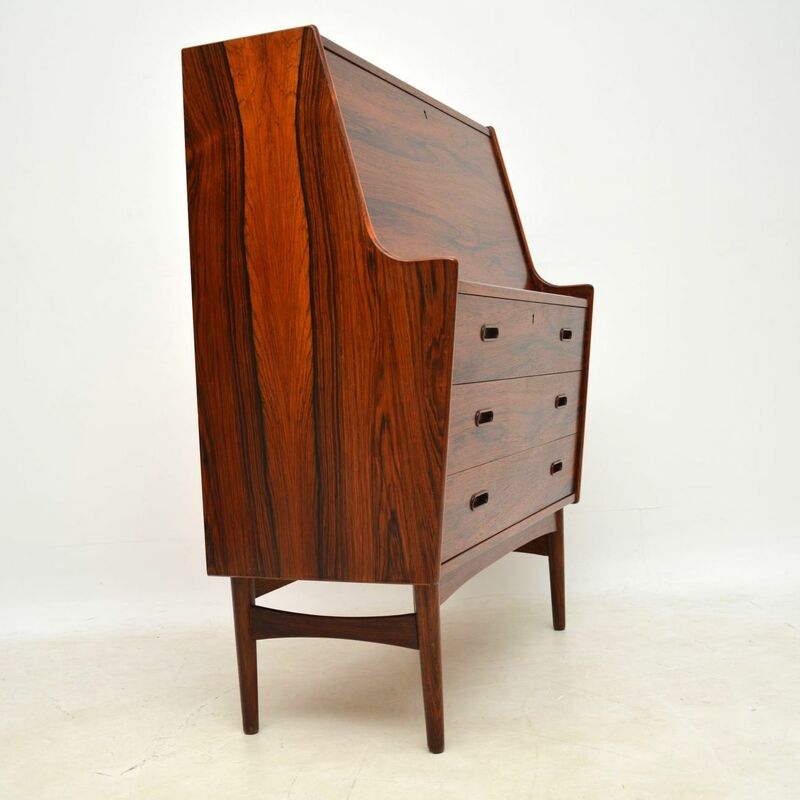 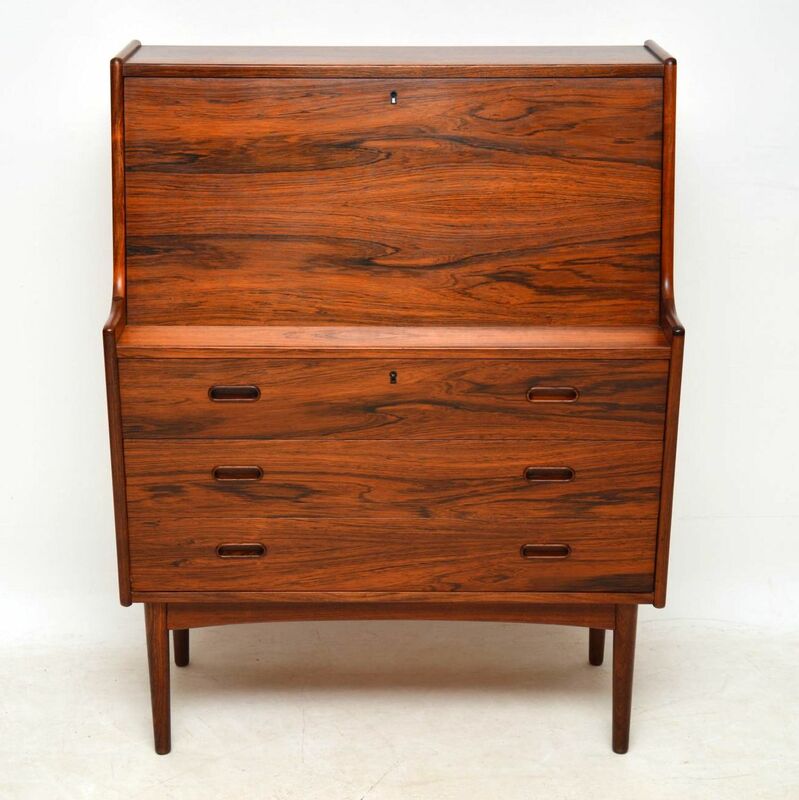 A stunning vintage Danish writing bureau, this was designed by Arne Wahl Iversen, it dates from the 1960's. 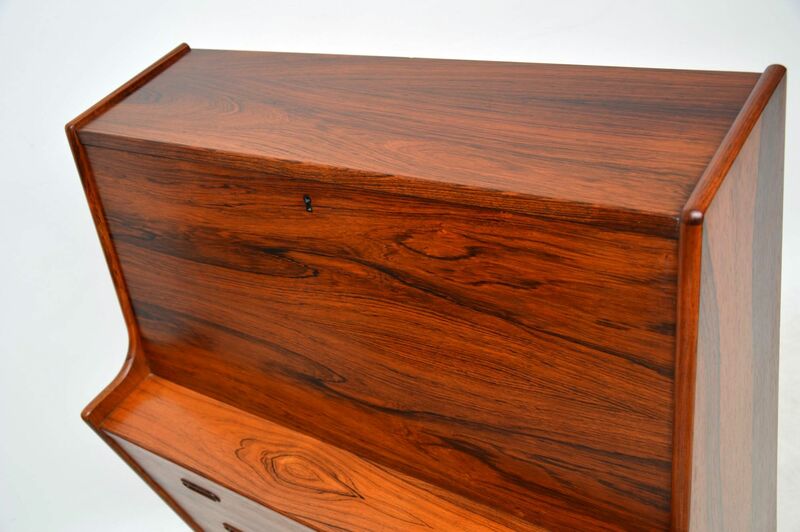 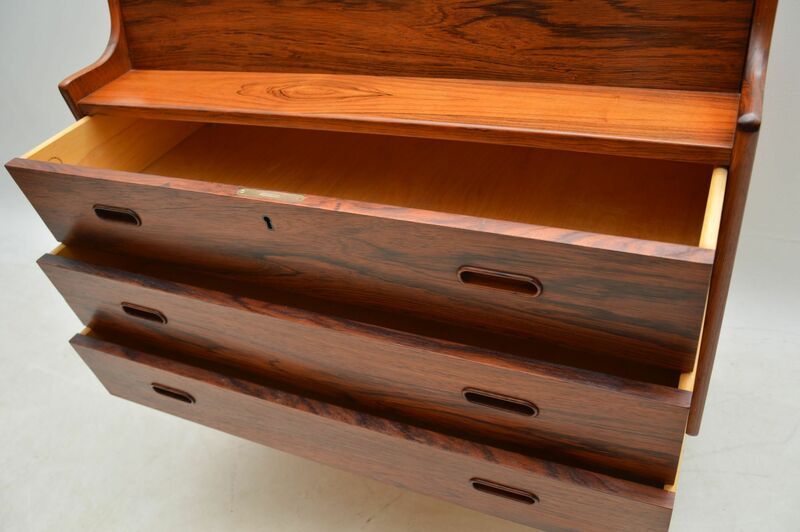 The rosewood grain patterns are spectacular throughout on every surface, even the interior. 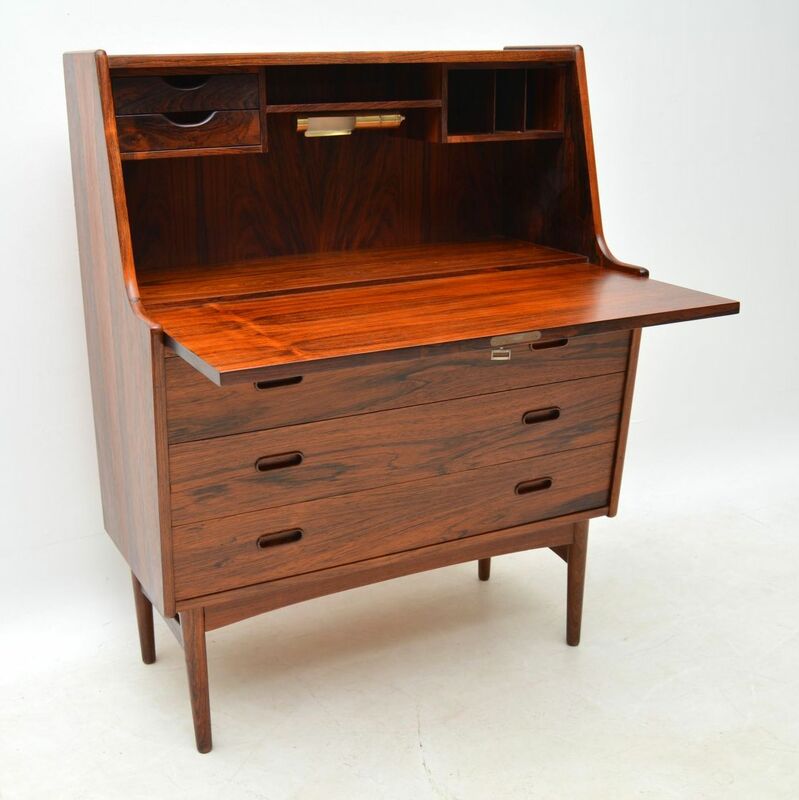 This has a great shape and is a very useful size, with ample work space and lots of storage space too. 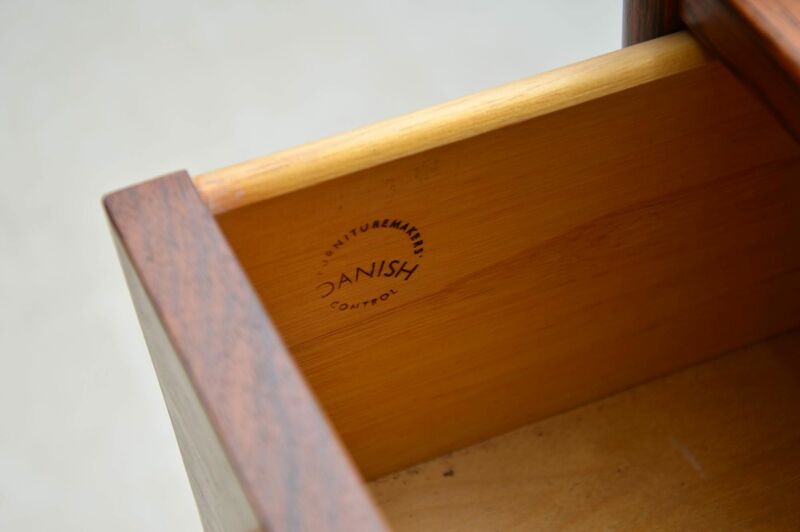 The condition is excellent for its age, with only some minor wear here and there.